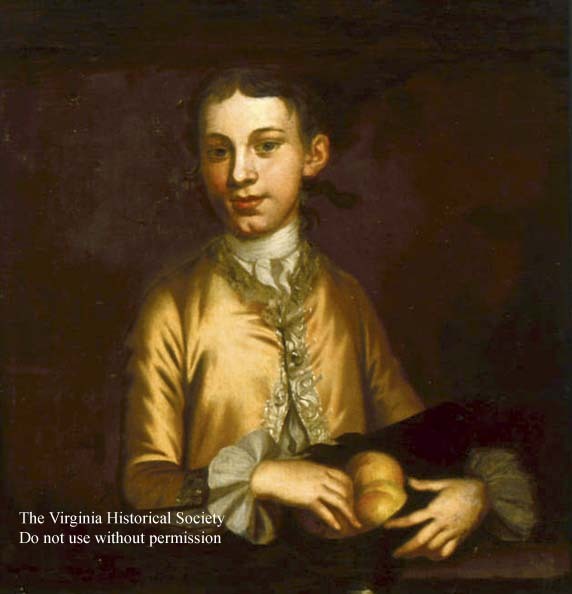 The Virginia Historical Society has the three big Wormeley portraits from the family of Betty Williams Gookin, who lives in Middleburg, and two smaller ones from the estate of a Wormeley family (the last is dead) who lived in Richmond. All are by Wollaston except Ralph V's Cambridge portrait by RE Pine. Three came from the Chauncy Williams family in Northern Virginia. Descended from Wormeley's youngest daughter, Sarah. The other two -- small Wollastons and a miniature of Warner Lewis Wormeley came from the "last Wormeleys" in Richmond as John Jennings used to say. The family that barely held on at Rosegill until the 1840s included a fellow names Thomas machen Boswell Roy and a descendant I met had daguerrotypes of them. Jonathan Poston says he thinks this is a Wollaston painting, 3/4 length. This charming portrait of the ten-year-old heir to the Wormeley family estate (Ralph Wormeley V) is one of the best of the children's portraits painted in colonial Virginia. Not only is the boy's elegant velvet jacket painted with John Wollaston's characteristic attention to the texture and detail of costumes, but young Wormeley also displays a mixture of adult formality and adolescent gracefulness that probably was characteristic of this sitter. He is not rigidly and inanimately posed in the manner of most colonial American children in portraiture. Jonathan Poston says he thinks this is the painting by Robert Edge Pine. He calls it "The Leaving Portrait"
This is a group portrait that includes Ralph V.
Jonathan Poston will send a copy of this. A second painting of the same thing is in England, in private ownership, who has allowed it to be photographed. Jonathan Poston says Warner Lewis Wormeley was Ralph V's son. Portrait of Warner Lewis Wormeley by John Drinker is in the Museum of Southern Decorative Arts Museum in Winston-Salem. In the Journal of Early Southern Decorative Arts. Painting of the Grymes Children. 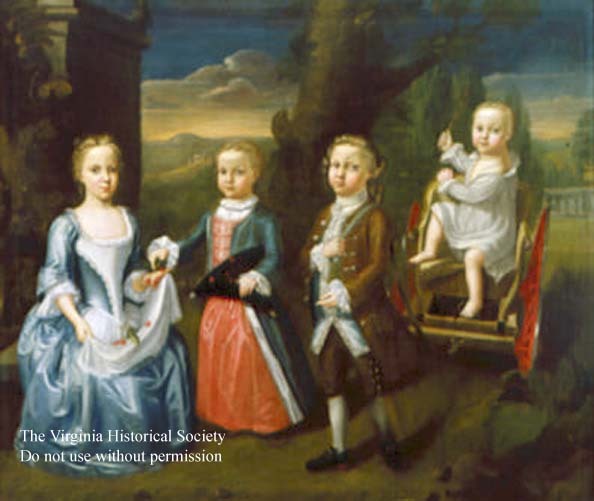 The children depicted in this charming portrait are the four eldest children of Philip Grymes (1721-1762) and Mary (Randolph) Grymes of Brandon, Middlesex County. Philip Grymes, son of John and Lucy (Grymes, was a burgess, receiver general of the colony 1749-54, and a member of the colonial Council from 1751 until his death in 1762. His wife, whom he married on December 8, 1742, was a daughter of Sir John and Lady Randolph; she bore her husband ten children, four of whom are here depicted (left to right). 1. Lucy Grymes (1743-1830) married on July 29, 1762, Thomas Nelson (1738-1789), signer of the Declaration of Independence and governor of Virginia. 2. 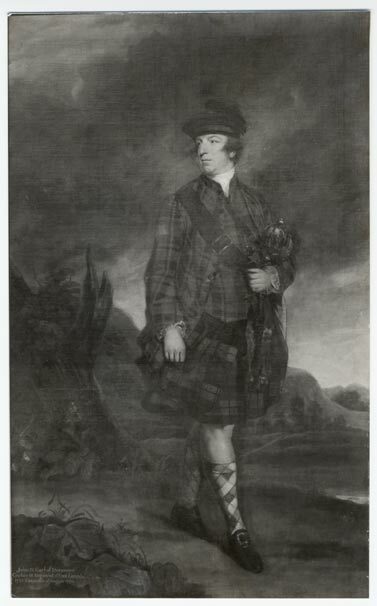 John Randolph Grymes (1747-1796), still in skirts at the time the portrait was painted, received his formal education in England, was a loyalist during the American Revoliution, and served under Simcoe in the Queen's Rangers. After living for a time in England, he returned to Virginia where he prospered as a planter in Orange County. On May 20, 1779, he married in London his first cousin Susannah Randolph, daughter of John Randolph, former attorney general of Virginia; the couple had four children. 3. 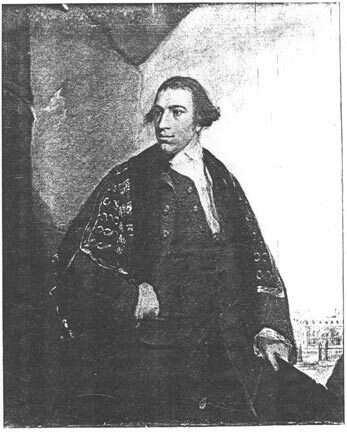 Philip Ludwell Grymes (1746-1805), the eldest son, was educated in England, inherited Brandon on the death of his father, represented Middlesex County in the House of Burgesses 1769-70, and was sheriff of the county. He later became a member of the House of Delegates and the Council of State. He married, first, Elizabeth Randolph, daughter of William and Anne (Harrison) Randolph, and second, Judith Wormeley, daughter of Ralph Wormeley (1745-1806) and Eleanor (Tayloe) Wormeley of Rosegill, Middlesex County; he had children by his second wife. 4. Charles Grymes (b. 1748) of whom little is known. It was probably he who married in 1773 Ann Lightfoot of York County. Lord Dunmore, the last colonial governor of Virginia.